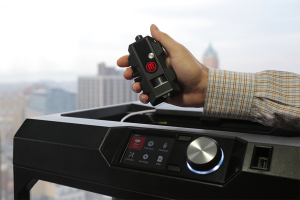 MakerBot, the subsidiary of Stratasys Ltd, has introduced the MakerBot Smart Extruder+, a new swappable extruder for Fifth Generation MakerBot 3D Printers that is designed and tested for better print performance over a longer period of time. The company said that the Smart Extruder+ is equipped with improved components and an enhanced sensor system to enable streamlined and reliable printing process from start to finish. “The advances we made with the MakerBot Smart Extruder+ are a big step forward and set a new benchmark in 3D printing,” said Jonathan Jaglom, CEO of MakerBot. The Smart Extruder+ was put through rigorous and independent test trials by experts from both MakerBot and parent company Stratasys to verify the unit’s performances and receive accurate test results. “MakerBot’s product testing initiative spanned over 160,000 cumulative hours – or 18 years – of print time. 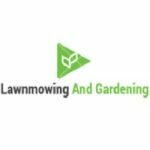 A total of 5,800 prints were completed by two groups – one at MakerBot and one at Stratasys – to help ensure independent verification of the results,” the company said in a statement. The Smart Extruder+ features improved key components to ensure longer-lasting reliability and an extended PTFE tube to feed the filament into the nozzle. Additional improvements include faster print start up and refined build plate levelling, the process of calibrating a 3D printer. Its sensor system, which has been enhanced for better performance and to streamline the printing process from start to finish, communicates with MakerBot Desktop and MakerBot Mobile to notify users – on their computer or mobile phone – when filament is absent and automatically pauses a print to enable print recovery. According to Nicholas Provenzano, a teacher at Grosse Pointe Public Schools in Michigan who has been using the MakerBot Smart Extruder+ for several weeks, the benefits of using the extruder can be especially felt in the classroom. “The reliability and ease of use is huge for us; it provides more students access to our MakerBot Desktop 3D Printer,” Mr Provenzano said. 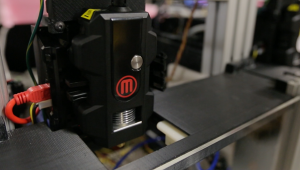 The Smart Extruder+ has an MSRP of $199. MakerBot said it is available for pre-order now and expected to ship on January 18, 2016.